So I've turned 42, which means statistically I'm half way through my life. Although this is a little optimistic as I eat out way too much and haven't eaten a raw vegetable since the Blair years. But here's the good news. If, like me, you're a procrastinator, life starts to get better from about 40. Because if you need a bit of pressure to get things done, you'll find not being alive any more is the ultimate deadline. There's very little wiggle room on the old death front. So here's what I've learned so far. Embarrassment is a complete waste of time – who cares? The world will eventually end, at which point no one will be able to see those holiday snaps of you in Crete, in your Speedos. The ones that show an outline of your testicles. In fact, try to be more embarrassing. Wear your clothes inside out, wink at strangers and try to get as much food on your face as possible when you are eating. A lot of embarrassment is about keeping us in our place. Fight this. Work hard, because the avoidance of work actually takes more effort and involves watching too much Jeremy Kyle. And no one wants that. Also, look after your body. We have only been given one (notwithstanding Katie Price, who has paid for several). I look after my cat Harry better that I do myself. He has a special diet designed to protect his teeth, key organs and fur. Meanwhile I live on a diet of Sprite and Kettle Chips. And he has private medical insurance! I don't have private medical insurance, but my cat does!! However I've also paid to have him castrated, so I win on that one. Think positively. When we are negative, we become blind to the good stuff around us and think the world is against us. It becomes self-perpetuating. Here's my advice: slap a smile on your face, wear your funkiest shoes and get out there and conquer the world. It doesn't even matter if you achieve this – you'll have fun trying. 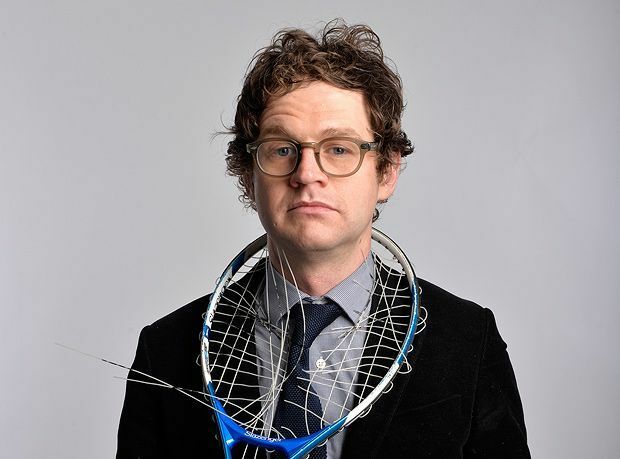 Mark Dolan: Life Hack, Sportsmans @ Gilded Balloon Teviot, until 29 Aug, 8pm, £10.